Oh these bars…Banana…Brown Butter… – Who Eats Like This? Well hello there friends and Happy New Year! I can say that for another three days, right?! Then we flip the calendar to February already! Eek! This past month has flown by…I’ve been trying to keep my New Year “intentions” going (I like that word better than resolution…doesn’t feel as stressful to me! ), along with getting myself organized for another busy year in Real Estate and for once, starting my taxes early! Crazy right?! Then each of us had a sandwich of sorts…my non-adventuresome kid had the Bacon Cheeseburger, my daughter tried her first ever Coney Dog (I think they used smoked hot dogs which made it SO much better!) I had the Fried Chicken sandwich and my husband tried the house-made Chicken, Roasted Garlic & Apple Sausage with Caramelized Onions & fresh Herbs. Everything was SO good! My sandwich came on a “Milk Bun” which for obvious reasons, made it sound so much better and it was! We had a sneaking suspicion that they come from a local bakery legend, Danny Klecko at Saint Agnes Baking Co. and we were right! I am going to get my hands on some again soon! 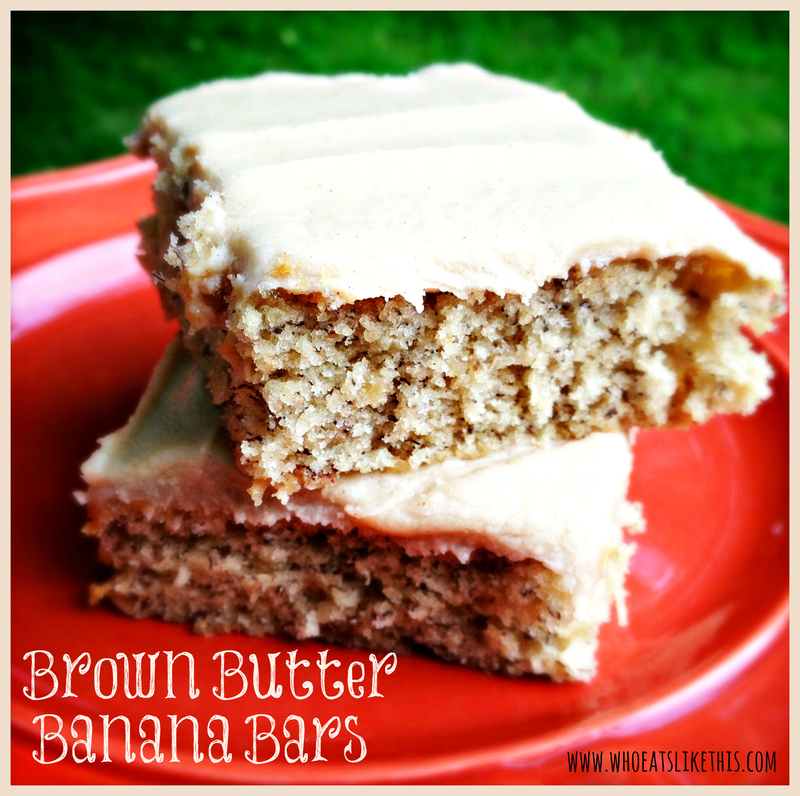 I found the recipe here=> Banana Bread Bars with Brown Butter Frosting and pretty much followed it to a tee. I stockpile my overripe bananas all year, and this is one of my favorite things to do with it! Not that you need to improve on this recipe, but it would be fun to add peanut butter chips or even espresso chips to the bars. And of course you can always add the walnuts, but I am not a big fan of those. Browning butter is one of my favorite things to do…it makes cookies, sauces, mashed potatoes & these bars SO much more delicious! Take a stick of butter, place into sauté pan, turn heat to medium high and melt…the butter will then start to boil, (turn the heat down a tiny bit if you feel it’s too high)…whisk continuously until you see the butter begin to foam up and start to turn brown. Keep a very close eye on it at this stage, because it can burn quickly! I usually cool mine down a bit for use in cookies and such. Not sure if I’ve shared this yet, but my oldest is considering a career in the Culinary Arts! We are super excited and over the holidays, got her a few beginner cookbooks and hope to start cooking together on the weekends. I thought it would be fun to blog when we do that, so stay tuned for some fun posts there. Are you considering a move soon? I would love to help you! Visit http://www.shawnaugustine.com for more info! BananabarsBrown ButterDanny KleckoLowertown St. PaulOx Cart Ale HouseSaint Agnes Baking Co.